Google took its love of Easter eggs and taking you to weird and wonderful places through Street View in creating its latest surprise. Head over to Google Maps to see the famed TARDIS, or one of the last remaining blue police boxes that Doctor Who's time-traveling spaceship is based on. 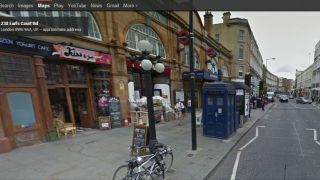 Sitting just outside of Earl's Court Tube station in London, Googlers can zoom up and down on Street View for different angles of the box - though Maps is proving to be bigger on the inside as users can even venture into the TARDIS for a 360-degree view of the interior. Wonder what Google Maps will have in store for us next?